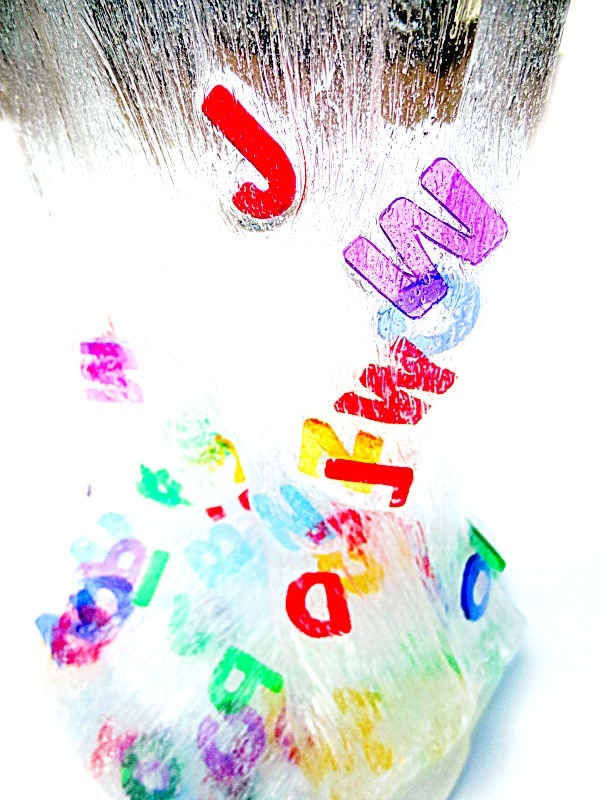 What could be more fun than hunting for letters in ooey-gooey slime? 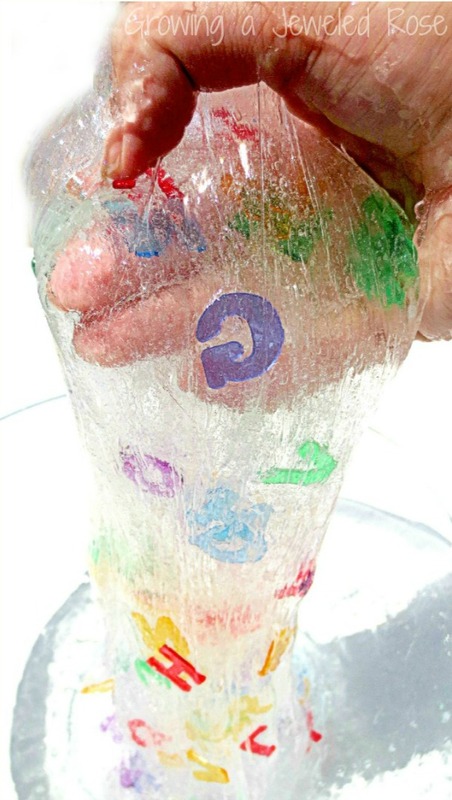 My kids had so much fun with this activity, and the recipe is SO easy! 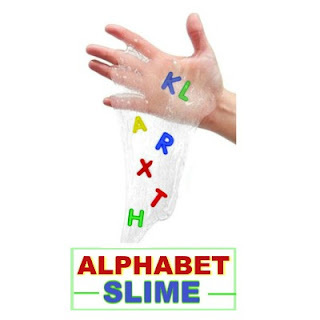 Are you ready to make alphabet slime? 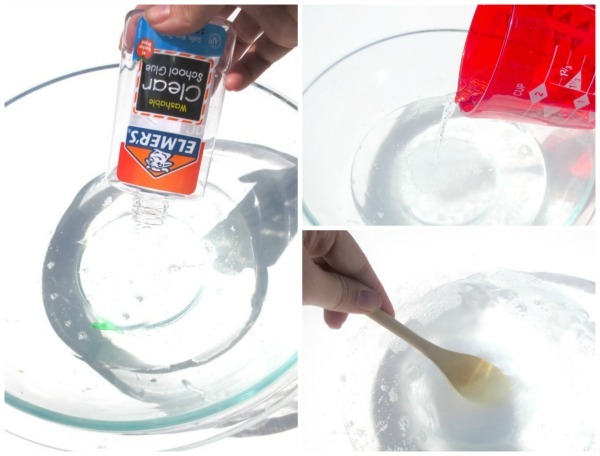 In a bowl mix 2 cups of clear school glue with two cups of very warm water and stir well. Then, add the alphabet letters . In a separate bowl mix one teaspoon of borax with 1 and 1/3 cups of very warm water and stir well. Once the borax is dissolved, combine the two bowls together and begin to mix with your hands. The slime will immediately begin to form. 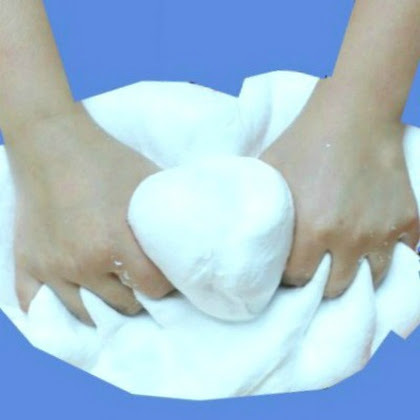 At first the slime will appear very sticky, but as it is kneaded it will become very smooth. Tip: If your slime is still a bit sticky add a very small amount of borax to a teaspoon of hot water and then add it to the slime. That's it! 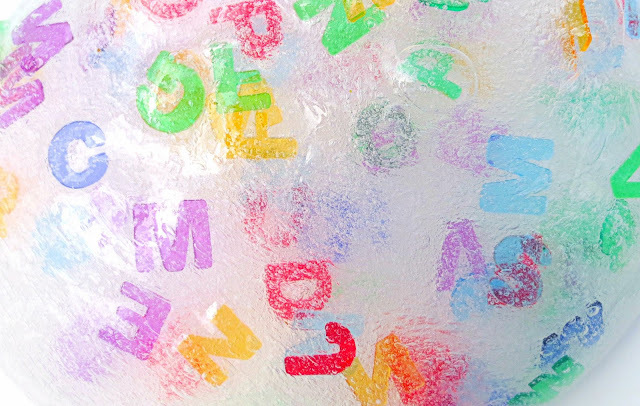 After just a bit of kneading you will have ooey-gooey alphabet slime! 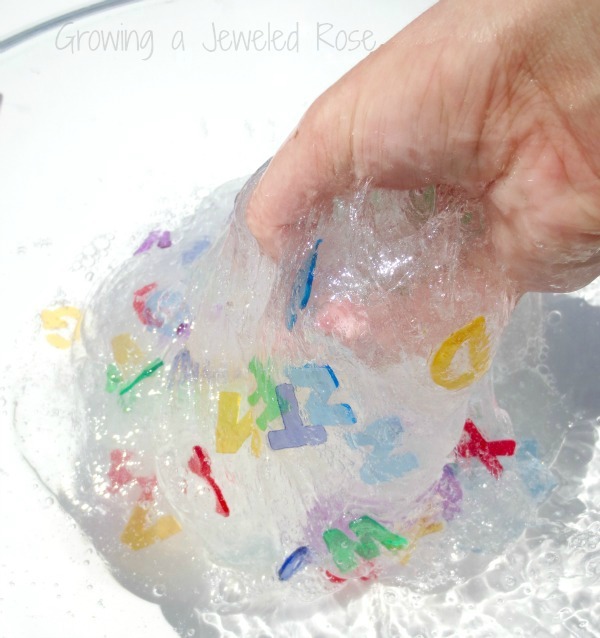 Have kids hunt for letters while they play. How many of each letter can they find? How many yellow letters do they see? 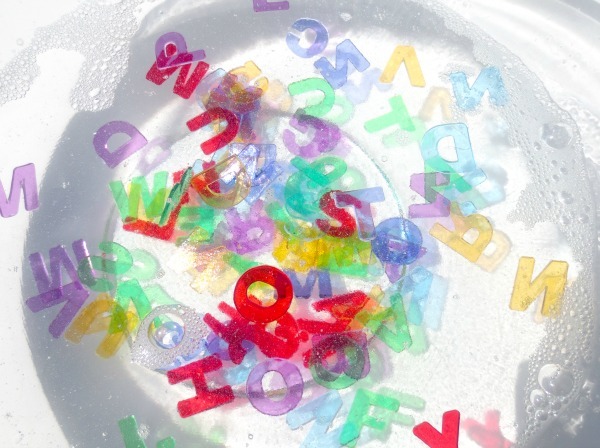 Have them search for words in the slime. 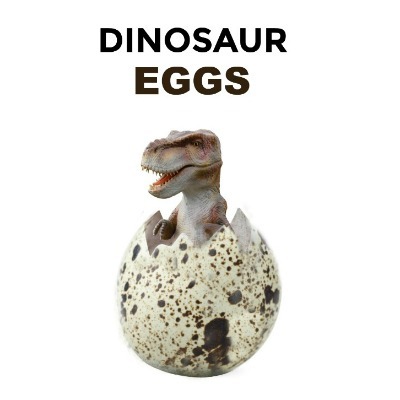 The possibilities for play are endless, and the kids are sure to have a blast! 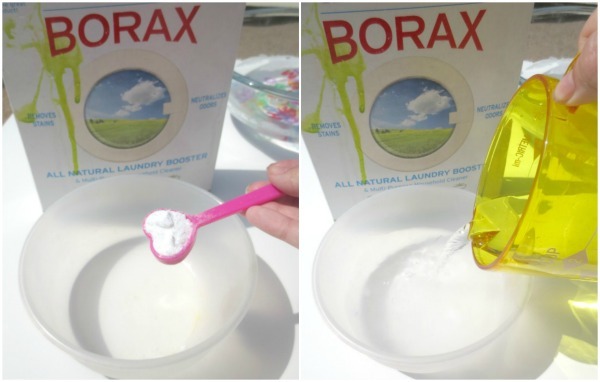 A Few Tips: Borax can be found in the laundry aisle of most stores or online here. 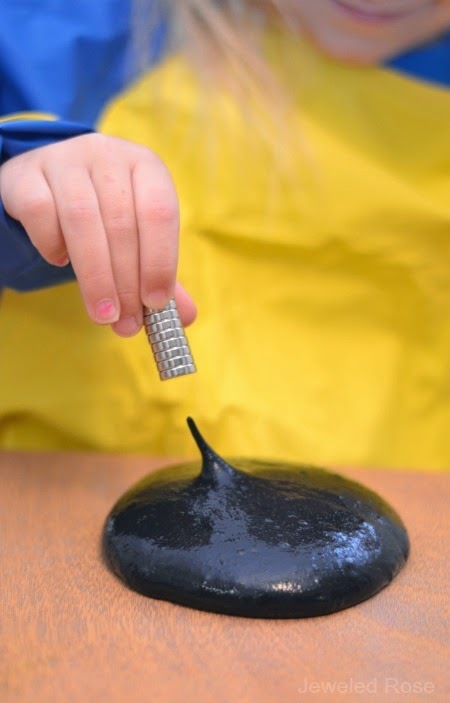 Store your slime in an air-tight container between play times, and it can be used again & again! The alphabet letters that we used for this activity can be found here. Happy playing!